This research guide is designed for law students interested in learning more about corporation and transactional law. The Center for Computer-Assisted Legal Instruction produces interactive lessons authored by legal scholars and professionals that cover substantive law, as well as legal research and writing. The lessons include a mix of background information and questions. Before diving into a research project, it's essential to have a strategy for how you will conduct your research. At the Law Library, we've developed a research worksheet that you can use to help organize the information you've been given and develop a plan for your research. Feel free to make copies and use it as you're given research assignments. Completely revised and updated, conversational in tone, it features illustrative hypotheticals. Comprehensive but concise, with organization following the life-cycle of the corporation -- from formation through dissolution. 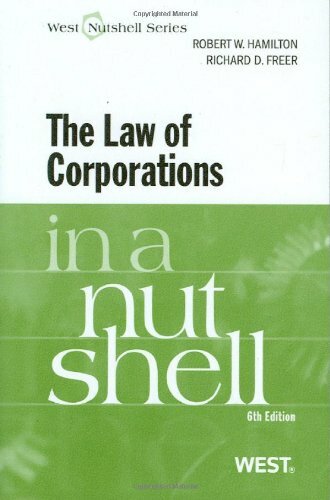 Addresses the theory of the firm and the nuts-and-bolts of corporate law, including special issues raised in closely-held and public corporations. Up-to-date discussion of Sarbanes-Oxley and federal securities law provide broad background. Even sociology majors need not fear the discussion of financial concepts, which are set up with helpful examples. This Hornbook clarifies rather than simply recites corporations law, while paying attention to correcting common misconceptions held among students about the subject. Also appropriate for courts and commentators seeking the appropriate resolution of issues of corporations law. This book is written in a "user-friendly" style, with citations kept to a minimum. The second edition incorporates the major developments in corporate law in the decade since the first edition was published. The proven Glannon Guide is a user-friendly study aid to use throughout the semester as a great supplement to (or substitute for) classroom lecture. Topics are broken down into manageable pieces and are explained in a conversational tone. Chapters are interspersed with hypotheticals like those posed in the classroom that include analysis of answers to ensure thorough understanding. Additionally, "The Closer" questions pose sophisticated hypotheticals at the end of each chapter to present cumulative review of earlier topics. More like classroom experiences, the Glannon Guide provides you with straightforward explanations of complex legal concepts, often in a humorous style that makes the material stick. The user-friendly Glannon Guide is your proven partner throughout the semester when you need a supplement to (or substitute for) classroom lecture. The material is broken into small, manageable pieces to help you master concepts. Multiple-choice questions are interspersed throughout each chapter (not lumped at the end) to mirror the flow of a classroom lecture. Correct and incorrect answers are carefully explained; you learn why they do or do not work. You can rely on authority; the series was created by Joseph W. Glannon?Harvard-educated, best-selling author of, among other legal texts, Examples and Explanations; Civil Procedure, now in its sixth edition. "The Closer" poses a sophisticated problem question at the end of each chapter to test your comprehension. A final "Closing Closer" provides you practice opportunity as well as a cumulative review of all the concepts from earlier chapters. You can check your understanding each step of the way. More like classroom experiences, these Guides provide straightforward explanations of complex legal concepts, often in a humorous style that makes the material stick. The most trusted name in law school outlines, Emanuel Law Outlines were developed while Steve Emanuel was a student at Harvard Law and were the first to approach each course from the point of view of the student. Invaluable for use throughout your course and again at exam time, Emanuel Law Outlines are well-correlated to all major casebooks to help you to create your own outlines. Sophisticated yet easy to understand, each guide includes both capsule and detailed explanations of critical issues, topics, and black letter law you must know to master the course. Quiz Yourself Q&As, Essay Q&As, and Exam Tips give you ample opportunity to test your knowledge throughout the semester and leading up to the exam. 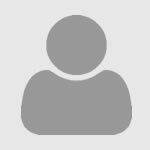 Every title in the series is frequently updated and reviewed against new developments and recent cases covered in the leading casebooks. Emanuel Law Outlines provide a comprehensive breakdown of the law, more sweeping than most, for your entire study process. For more than thirty years, Emanuel Law Outlines have been the most trusted name in law school outlines. Here s why: Developed by Steve Emanuel when he was a law school student at Harvard, Emanuel Law Outlines became popular with other law students and spawned an industry of reliable study aids. (Having passed the California bar as well, Steve Emanuel is now a member of the New York, Connecticut, Maryland, and Virginia bars.) Each Outline is valuable throughout the course and again at exam time. Outline chapters provide comprehensive coverage of the topics, cases, and black letter law covered in the course and major casebooks, written in a way you can easily understand. The Quiz Yourself Q&A in each chapter and the Essay Q&A at the end provide ample opportunity to test your knowledge throughout the semester. Exam Tips alert you to the issues that commonly pop up on exams and to the fact patterns commonly used to test those items. The Capsule Summary an excellent exam preparation tool provides a quick review of the key concepts covered in the course. The comprehensive coverage is more sweeping than most outlines. Each Emanuel Law Outline is correlated to the leading casebooks. Every title is frequently updated and reviewed against new developments and recent cases covered in the leading casebooks. Tight uniformity of writing style and approach means that if you use one of these guides, you can be confident that the others will be of similar quality.